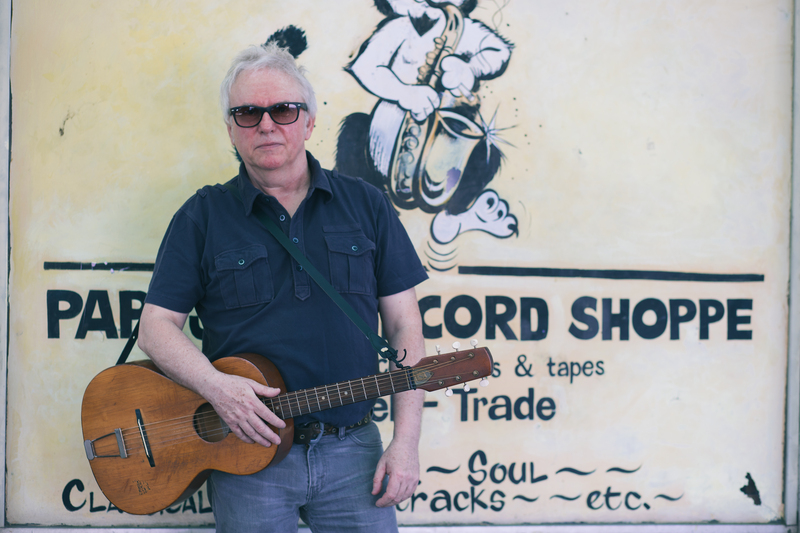 The legendary Wreckless Eric was kind enough to share a tune with us in Papa Jazz’s upstairs storage room. Surrounded by dusty lps and boxes of 45s, Eric chose to play “Murder in My Mind,” a stellar tune off his much underrated “town and country” album, 12 O’Clock Stereo. The album had originally been recorded in France in 1996 featuring a French rhythm section who moonlighted as a rockabilly band at Euro-Disney. For this performance, Eric plays a German acoustic guitar he obtained from a street musician in rural Georgia. It sounds perfect, if we do say so ourselves with a little toetapping on the hardwood floor. Enjoy and be sure to check out Eric’s new album, AmERICa, available now from Fire Records on cd and lp.